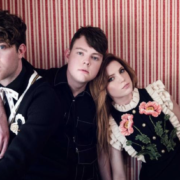 The indie pop band, Echosmith, have announced a fall North American headline tour, for October and November. This tour is in support of their upcoming album, Inside A Dream. Banners will be on tour, as support.